Er, call us picky, but isn't that what a calculator is for? A bizarre patents has been given the go ahead in the US, which involves a device that can split restaurant bills for you. 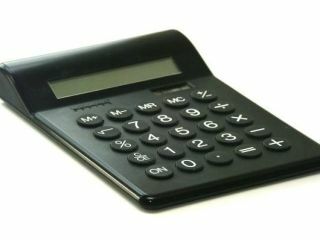 The yet-unnamed gizmo – apparently the term 'calculator' was already taken – is meant to stop the bickering that can happen when people 'go Dutch' after a meal. Patented by IBM, the machine is designed for restaurant tables, where those eating can input their share of the cash, and the device will tell you when the bill has been paid in its entirety, and nobody has to go and wash the dishes. The actual description of the machine is as follows: "Patrons at a restaurant or bar can pay at their table using credit cards, without involving the restaurant or bar cashier and/or waiting staff. "Patrons are assisted using this system in dividing the bill by displaying the amount due (including tax) and allowing each patron to enter the amount they wish to pay. When the initial bill is presented, a balance due will be displayed and the indication will be provided that the bill has yet to be paid in full. "As each transaction is entered, a running total will be displayed indicating the remaining balance due. When the running total reaches zero, the bill is paid in full, and an indication will be provided, such as by illuminating a green indicator light or by displaying a balance due of $0.00." Originally, the patent was filed back in 2000, but was rejected. This rejection has finally been overruled.